Wellington Water sought to construct and operate a new water reservoir within the Wellington Town Belt. This required a sympathetic response to this sensitive area of open space. 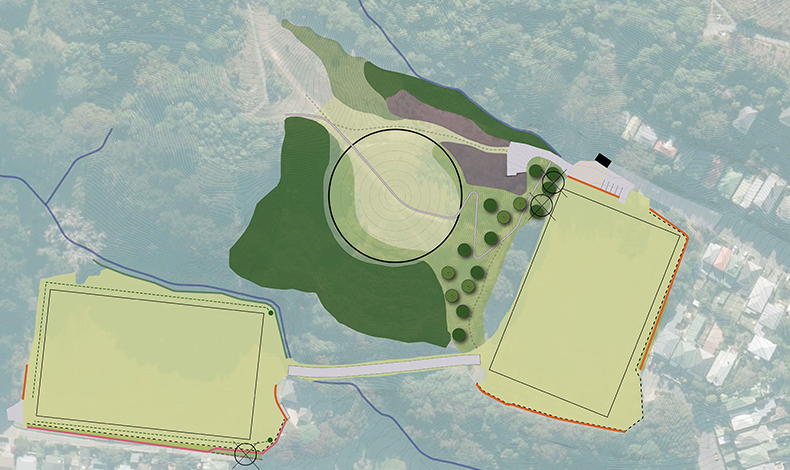 Boffa Miskell landscape architects and ecologists worked with Wellington Water to assess and design a buried reservoir concept which would ensure this becomes integrated within its vegetated and open space context. This included the development of virtual reality visualisations to assist the project through community engagement. Boffa Miskell landscape planners and ecologists were engaged to prepare separate assessments and evidence to support a notice of requirement through the Town Belt Act and Resource Management Act hearings. This included ensuring adverse effects could be avoided, remedied or mitigated and developing the final design through collaboration with the community. Our landscape architects and ecologists are continuing to assist the implementation of this project through detailed design. The Omaroro Water Reservoir Community Engagement Programme was recognised with a 2019 Golden Quill Award of Merit in Community Relations by the International Association of Business Communicators. Project involved assessing and designing a new water reservoir in the Wellington Town Belt to assist with earthquake resilience. Included the innovative use of VR headsets during project engagement.